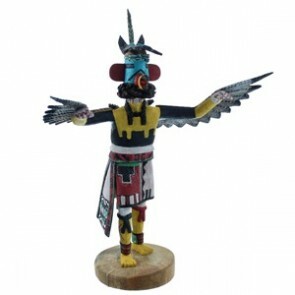 The Hopi people were the first to create Kachina dolls, believing them to be sacred items used to communicate with the spirit world. 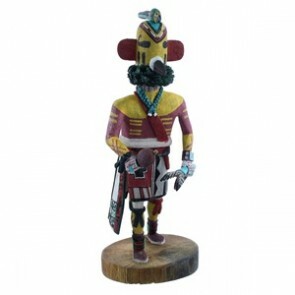 The Kachina were meticulously carved to look like a deity, animal spirit, deceased ancestor, or other spirit by shaping the wood and decorating the item with feathers, fur, and paint. They were then used in celebrations and festivals and, to this day, are still considered a very meaningful item. 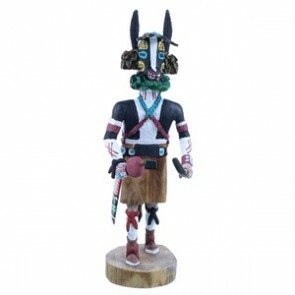 Through the 20th century to present day, the Kachina of the Hopi people have changed to include more details such as varying poses, distinguishable genders, and different sizes. Though some features of the Hopi Kachina remain the same: the eyes are either painted on or have wooden carved eyes attached to the face. The mouths are either painted on, or carved into a beak, snout, or horizontal, wide shape. 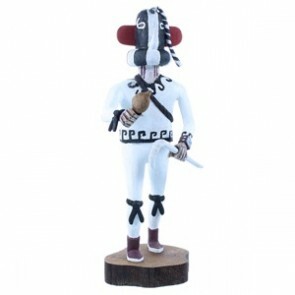 Each Kachina is unique, and reflects a beautiful culture.